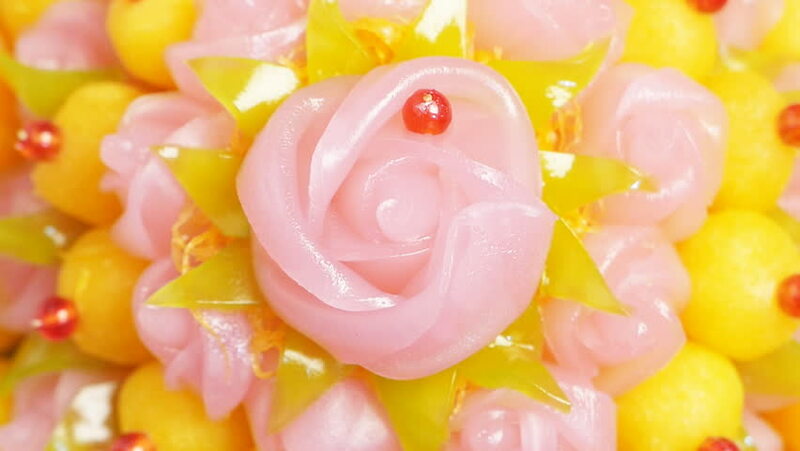 Traditional Thai Sweet Dessert Rose Shaped Freshly Homemade Rotating on Dish, Top view zoom out. hd00:16Traditional Thai Sweet Dessert Rose Shaped Freshly Homemade Rotating on Dish, Top view Zoom in. 4k00:17close-up. 4k. a flower of an orange rose after a rain. hd00:11Food coloring on milk abstract background.